I have a very old house and pretty much everything in the bathroom needed to be replaced. I had several estimates and was in the process of selecting one when Brand Plumbing started advertising in my parish bulletin so I asked them if they were interested in submitting a bid also. They explained how they could salvage some items and not have to replace them. They also suggested some other business that could save some expense on the parts that they were unable to do. The total estimate had one less zero on it than all of the others and they seemed like a very nice family owned business so I selected them to do the work for me. I gave them the key to my house while I went out of town for a week and they coordinated with all of the other business on their part of the job and arranged to let them into the house. When I returned a week later the job was completely finished and I was and still am very satisfied with the results. My experience with jobs like this is that once the work has begun they start finding things that were not apparent when they quoted the job so it goes over budget and past schedule. Not only was the job completed on schedule but the final bill was under the estimate. They are very honest too because they could have charged me the amount of the estimate and I would have never known that is should have been less. I can't imagine that you would be unhappy with the job that they would do for you. 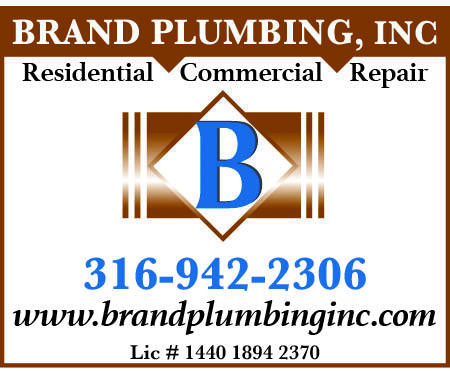 I belong to the Church of Resurrection Parish and found Brand Plumbing advertising on the back of the bulletin. I needed a plumber to look at a leaky pipe in my basement. They arrived later that afternoon. Two plumbers looked at my pipe and determined that it was caused by an overflow from the bathtub, which was no problem at all. They also looked at my bathroom faucet and caulked around the fixture where the overflow occurred. It took them only a few minutes to alleviate my concerns. Because they were at my home for only a few minutes my bill was adjusted and i paid a very fair fee for their services. I had wanted to give my business to someone in my parish and I was benefited more than the business!